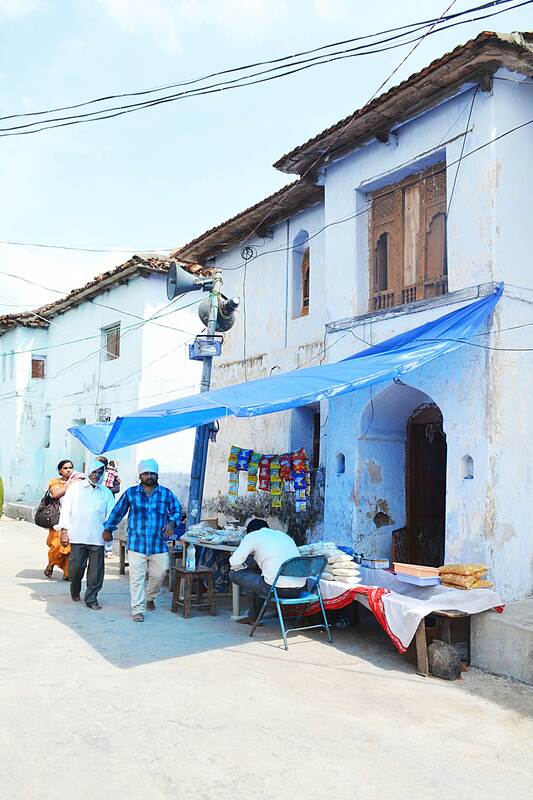 A photo-narrative by Sneha Parthasarathy of the quintessential Indian village culture, lifestyle and architecture, against the backdrop of the Godavari River Festival. The Pushkaras, occurring annually, are river festivals celebrating in a cyclic manner each of the 12 important holy rivers of India. This year was that of the river Godavari and was said to be a ‘Maha Pushkara’ – occurring once every 144 years. 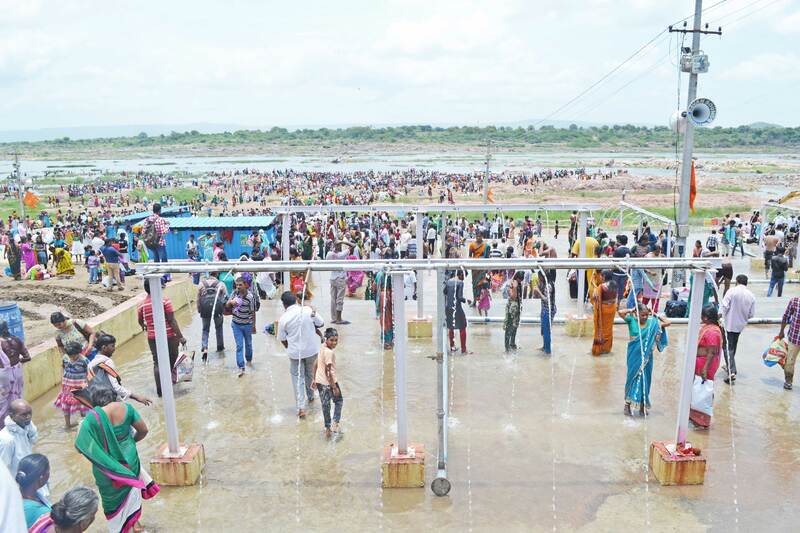 The 12 day festival saw over 11 crore devotees, from Telangana-Andhra region rush to the river banks of Godavari to take the emancipating dip and pray for departed souls of their loved ones. There is something very powerful and beautiful about belief but mass hysteria and hype is worrying. Worrying because it leads to herd mentality; when you do something not because you deeply believe in it but because you do not want to be left out. 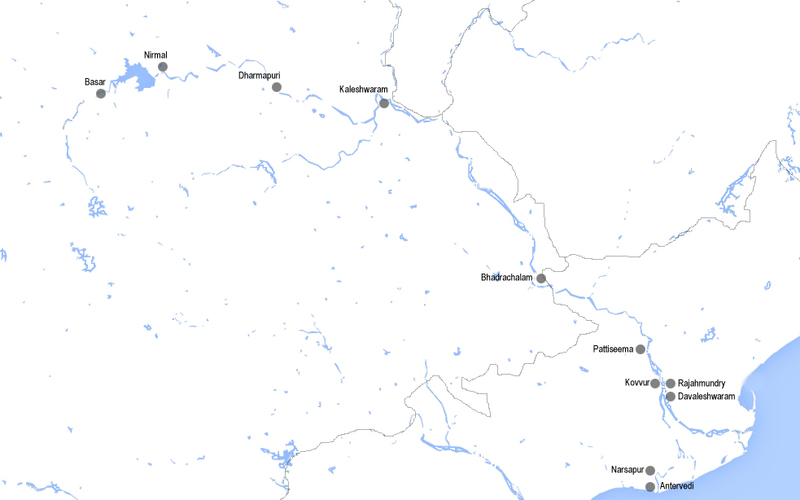 Map showing location of important Pushkara ghats and state boundaries. Capitalising on faith, the freshly split governments of Telangana and Andhra tried to outdo the other to publicise this auspicious occurring as a ‘mega event’; one that is not to be missed out on. 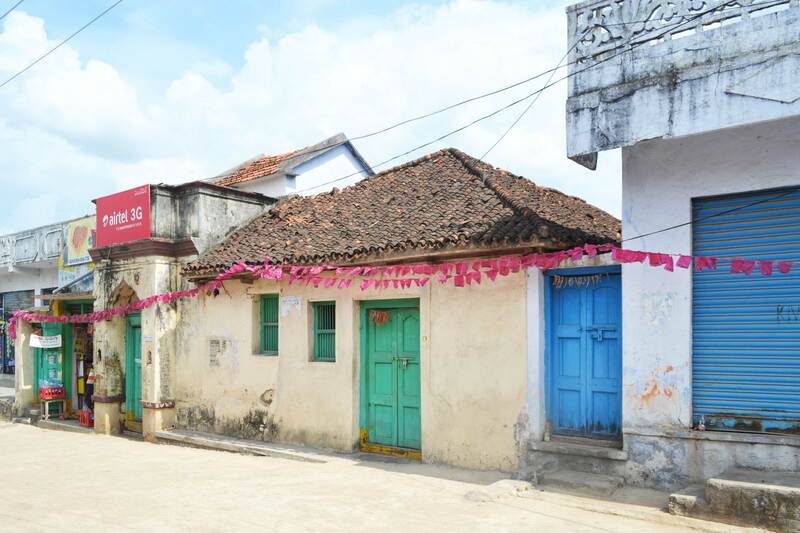 Starting from the temple town of Basar in the east, where the river enters Telangana and uptill Antarvedi in Andhra where it drains into the Bay of the Bengal, about 11 important pilgrim destinations were earmarked for provision of special arrangements for the public. Both governments apparently spent approximately Rs 1000 crores each to provide for the necessary support infrastructure, personnel and grand festivities. A total of 300 concrete ghats were built, along the almost 1000 km stretch of the Godavari river, in the two states within a matter of 5-6 months. Geographic Disposition and Connectivity of Dharmapuri. 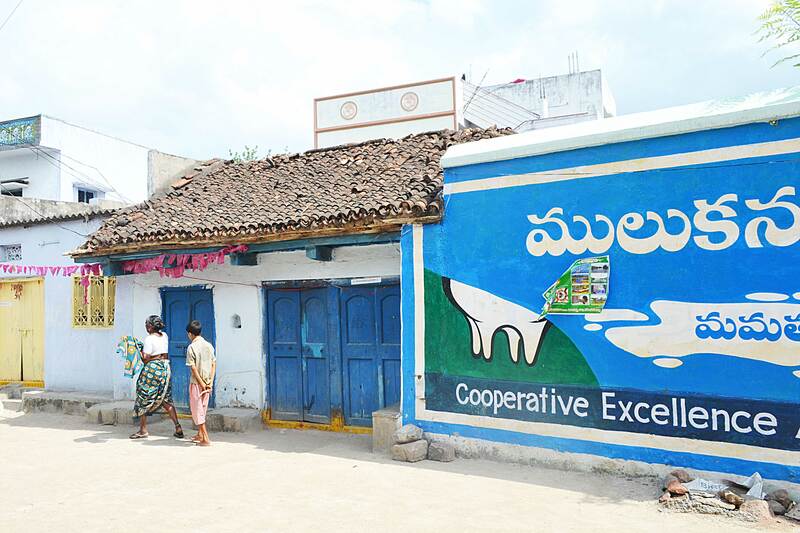 Dharmapuri, a village settlement along the Godavari river in Karimnagar district of Telangana, was one of the 11 earmaked Pushkara destinations. It is an important pilgrim place because of the religious significance of the Lakshmi Narasimha Swamy temple located here and is considered a ‘Punyakshetra’ because of its many ancient Hindu temples. 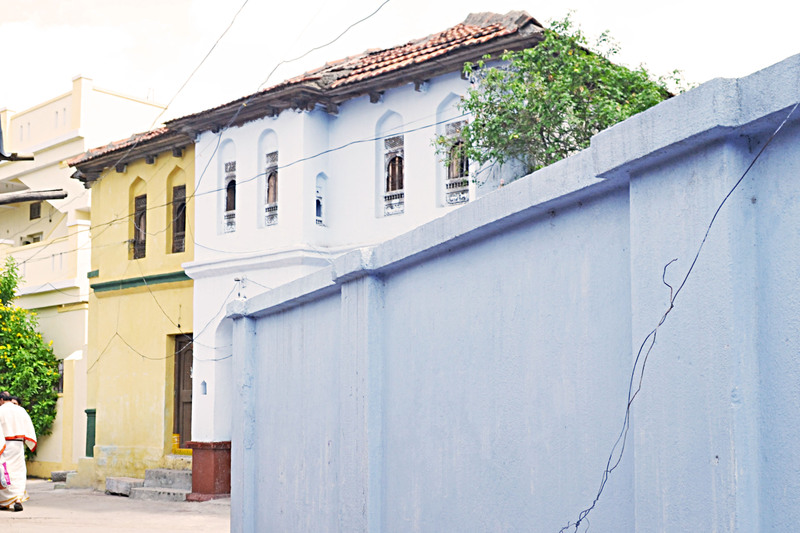 It is also said to be one of the largest existing settlement of Vedic scholars. 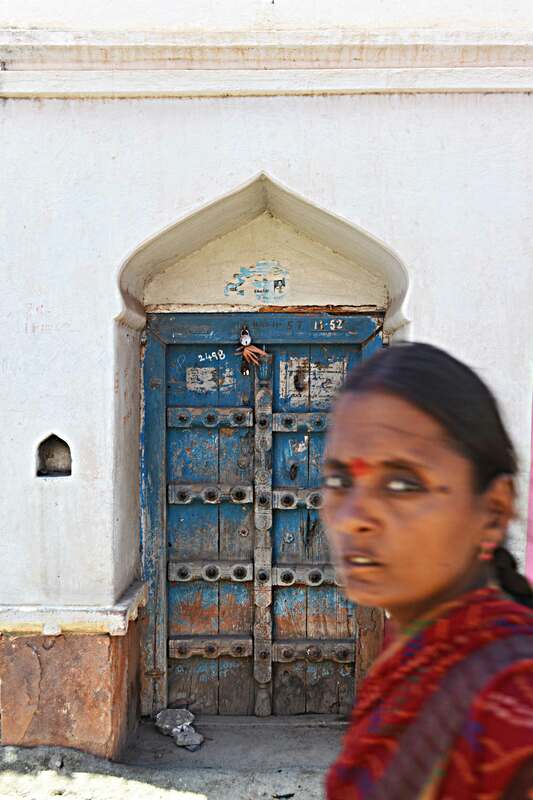 Although exploring the settlement was accidental to my primary motive of being there – to document the makeshift arrangements by the government for the Pushkara, it naturally became the more interesting part of the trip. 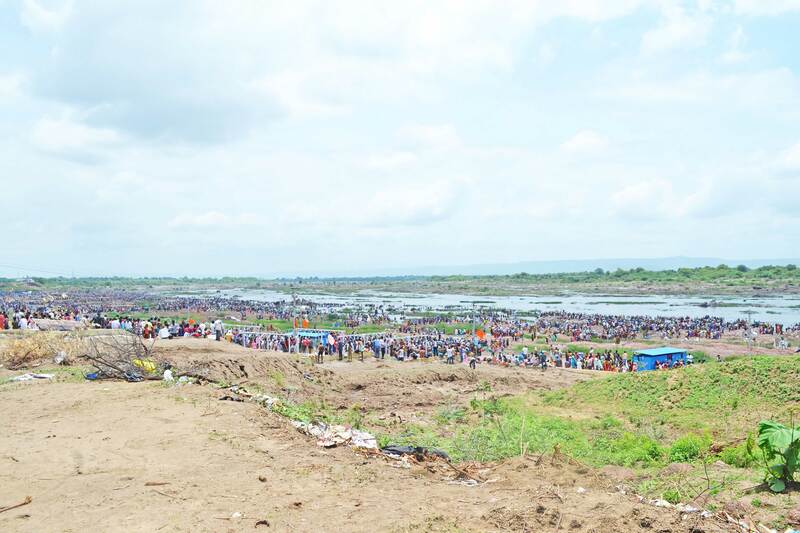 Weekday gathering on the river banks during the Pushkara, Dharmapuri. 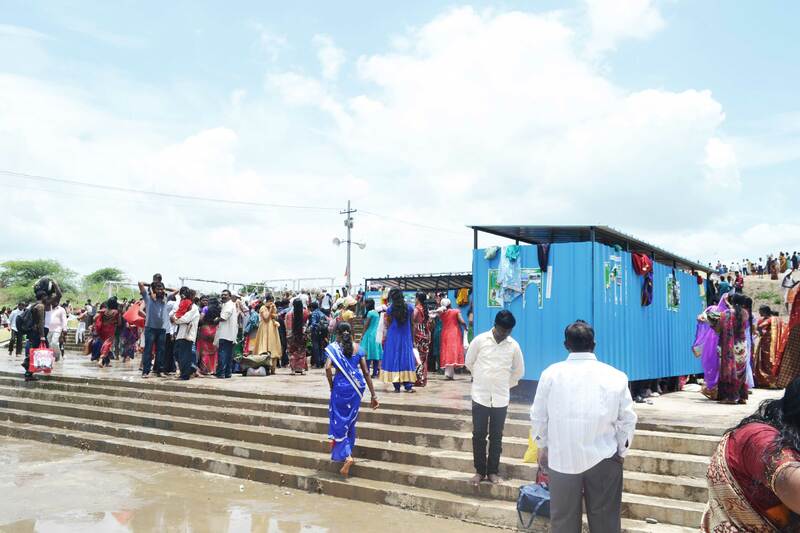 Shower heads supplying river water as a way of crowd management at the river banks, Dharmapuri. Temporary steel structures serve as changing rooms. 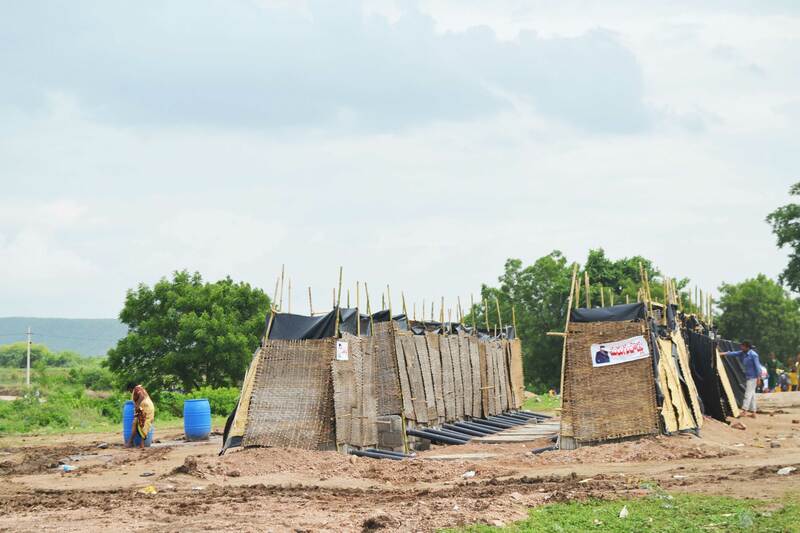 Bamboo structures serve as toilets. 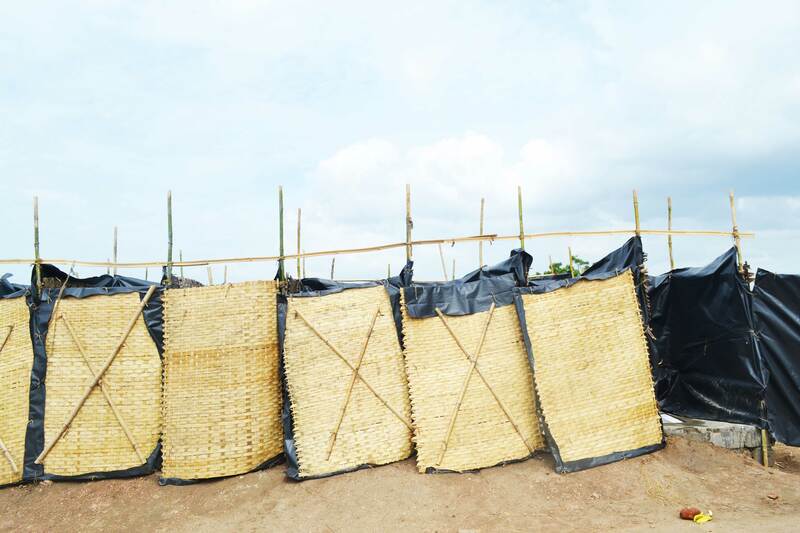 Bamboo mats lined with tarpaulin as toilet partitions. At the very heart of the settlement is the main temple that is said to have been originally built between 928-850 BC. 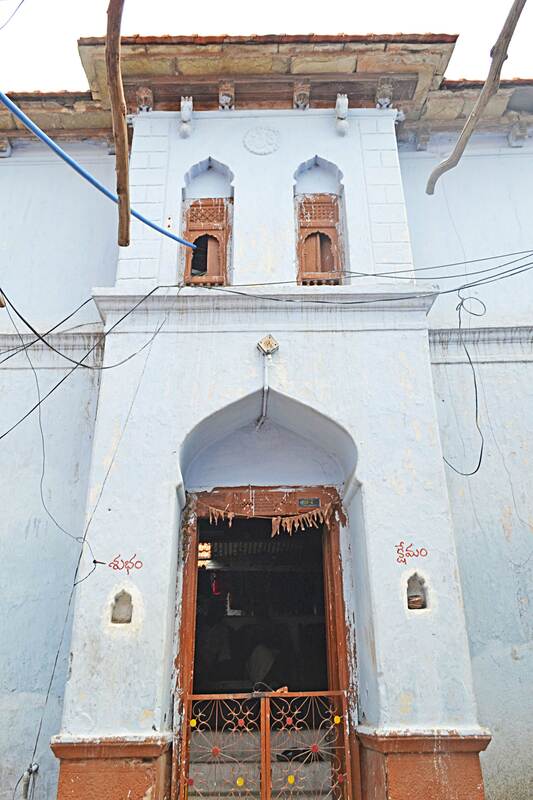 Subsequently, the temple was converted to a mosque during incursions by Muslim rulers and in the following years the temple was re-built beside the mosque and as it exists today both of them still stand beside each other. 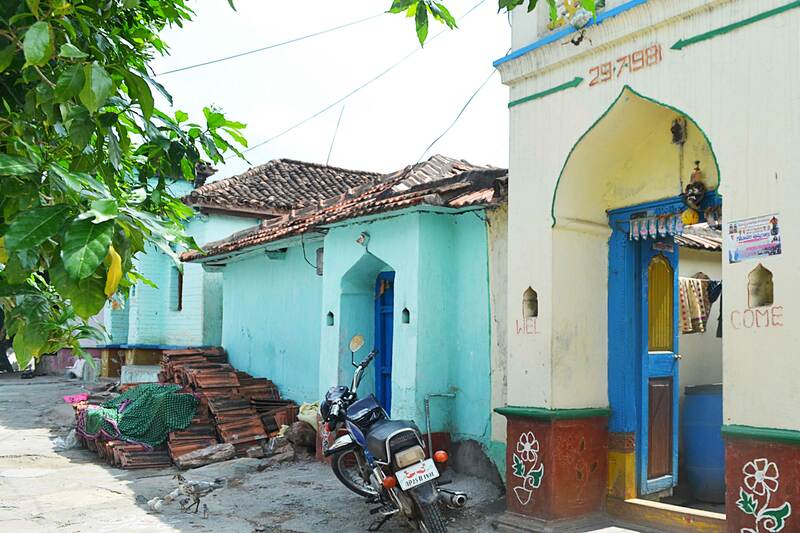 This temple-mosque complex stands where the two main movement axes of the village converge. 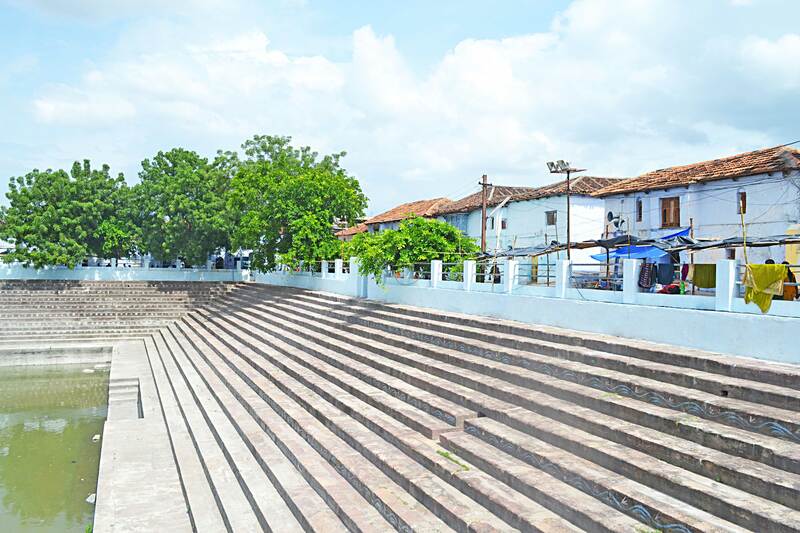 To the south of the east-west axis that connects the main temple to the western bank of the river is the temple tank. 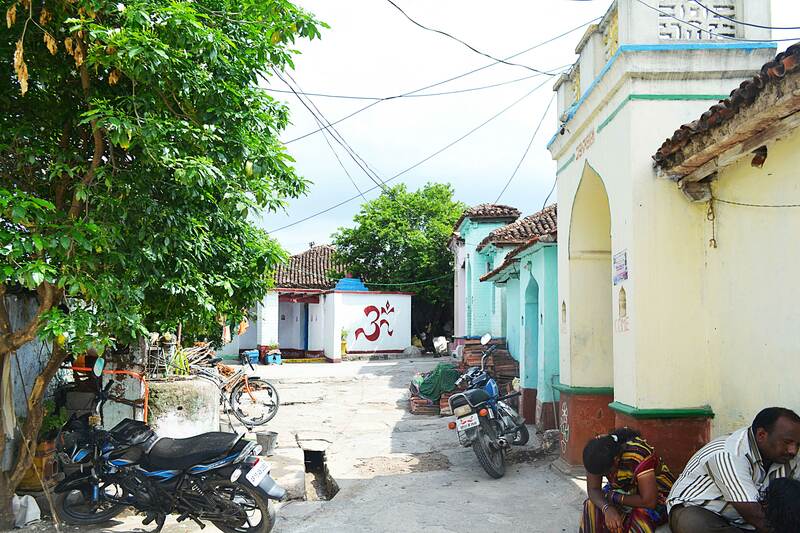 This quadrangular stepped tank, with its central pavilion connected by an arched bridge extending out from one of its edges, sits beautifully in the midst of the settlement becoming an inherent part of its daily life and rituals. 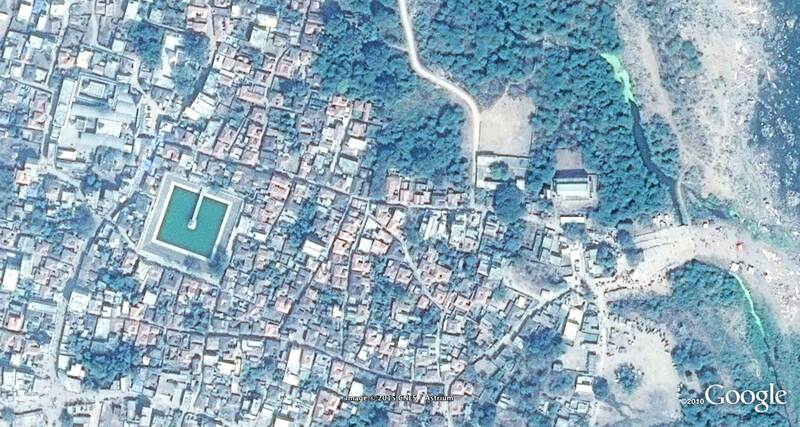 Satellite imagery showing the village fabric and structure of houses. 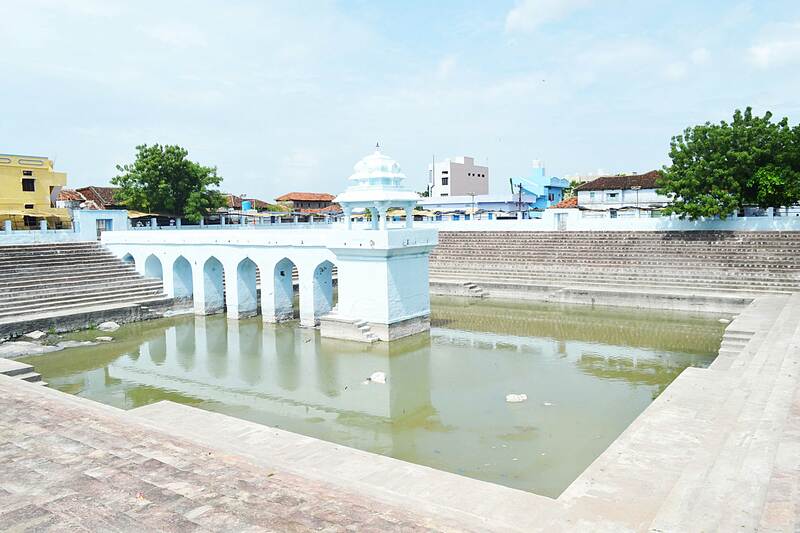 Brahama Pushkarni Koneru (Temple Tank). Walking and discovering the village felt like discovering wonderland after having fallen through the rabbit’s hole. 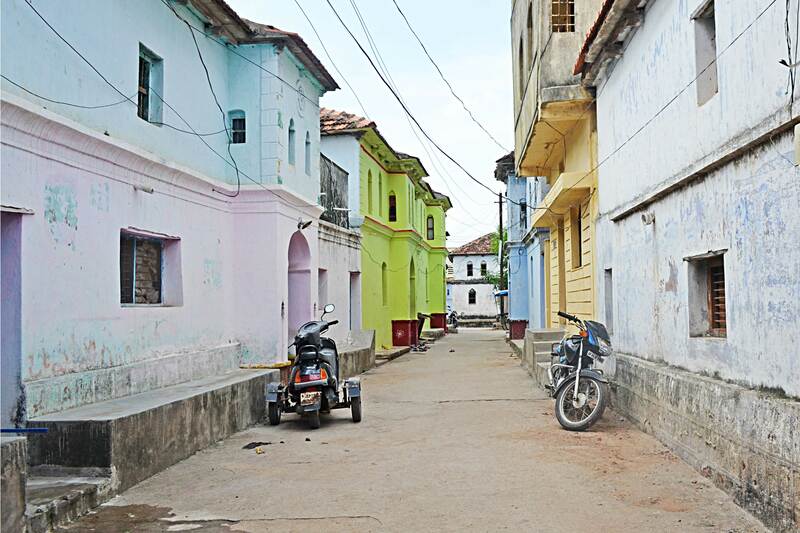 It is a quintessential Indian settlement characterised by narrow streets with houses packed together like books on a shelf; books that readily welcome you into their fold before narrating their own unique story. Most houses are double storied with sloped tiled roofs. Raised plinth used as an outdoor sitting space. Most double storied houses have a projected entrance portal that also frames steps leading into the house. These houses with their main doors opening directly onto the main thoroughfares, internal courtyards and tiled sloped roofs, talk about a lifestyle and culture that can no longer be found in our cities. What makes the story of the village even more rich is the diversity of influences on its built form. 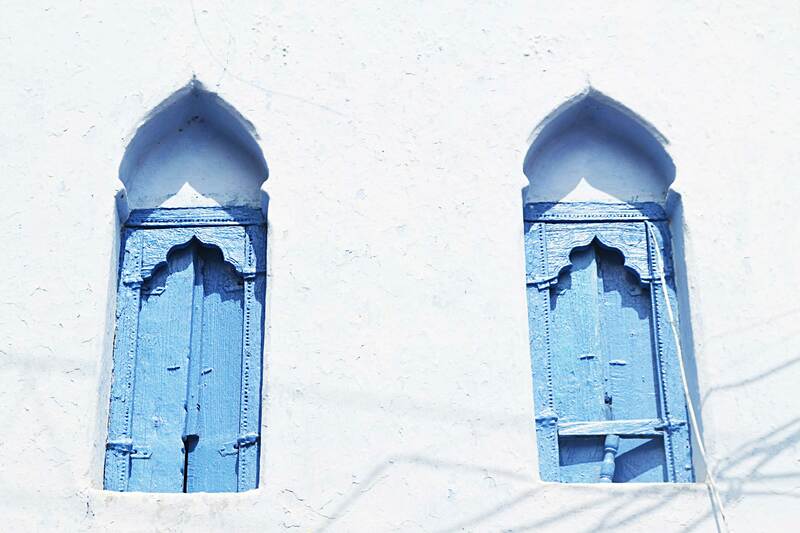 The houses in their details bear testimony of strong Islamic influences that have gracefully blended with the predominantly Hindu cultural fabric. Houses clustered around tight common spaces. 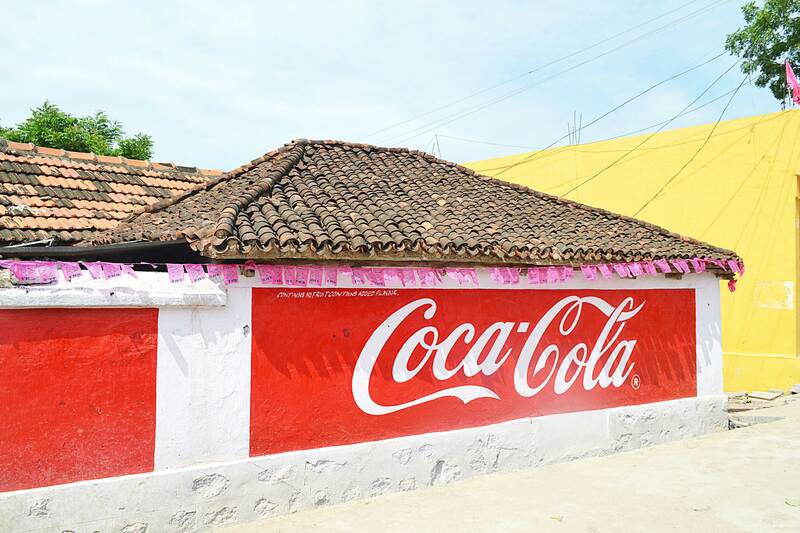 ” The true Indian culture is in the villages. 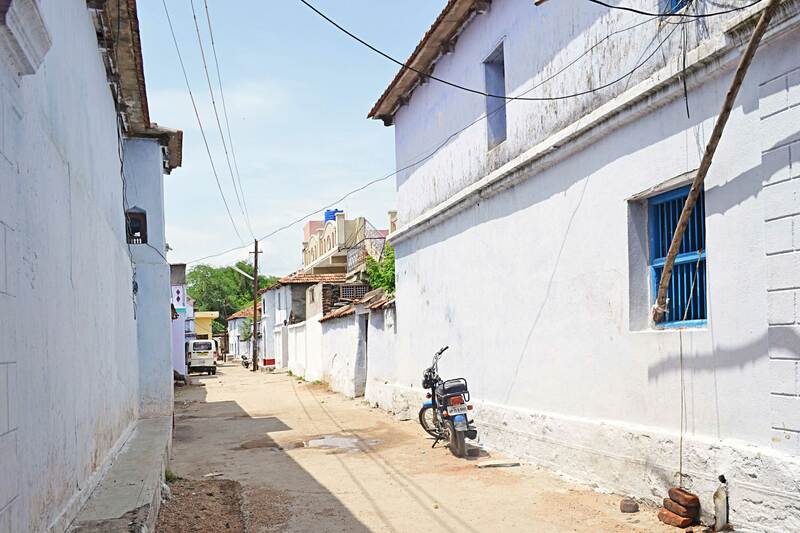 One must realise that it is not cities that make India, but the villages. 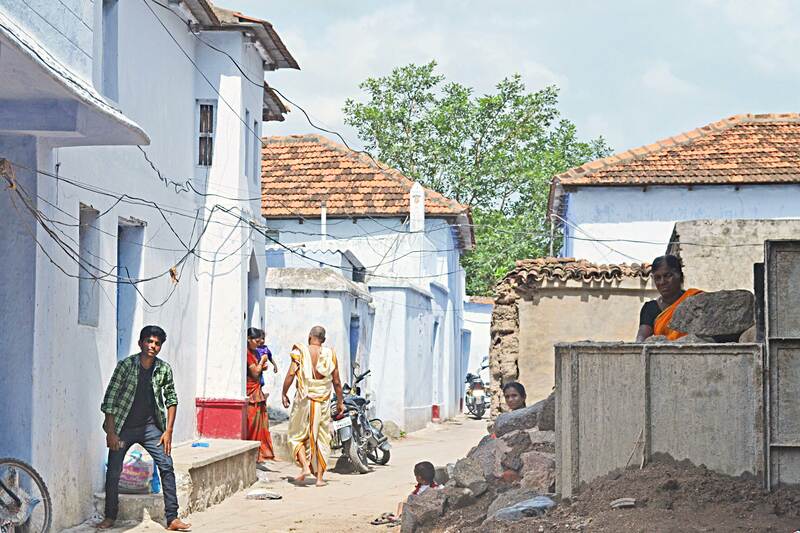 With the influence of British, villages have lost their life. Agriculture, Vocational skills have forever been neglected. There is no craftsmanship. No family education is continued. 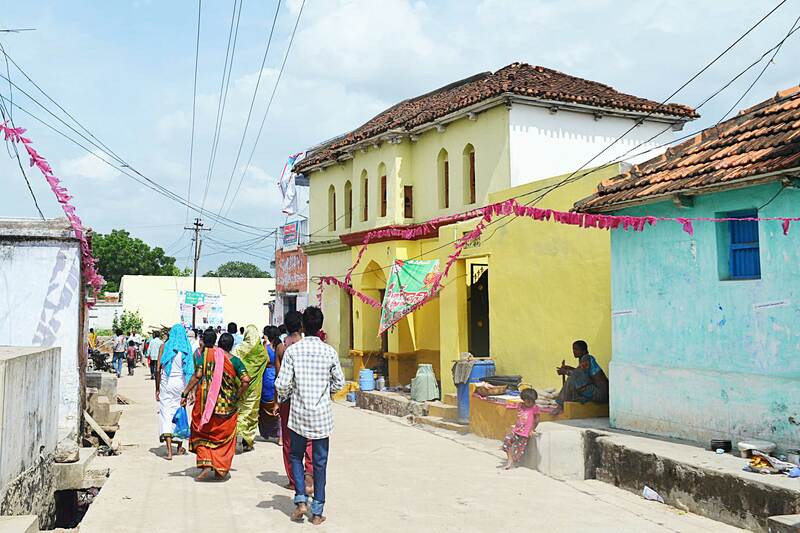 There are some exceptions where today such village culture is still surviving and our Dharmapuri is one such exception. 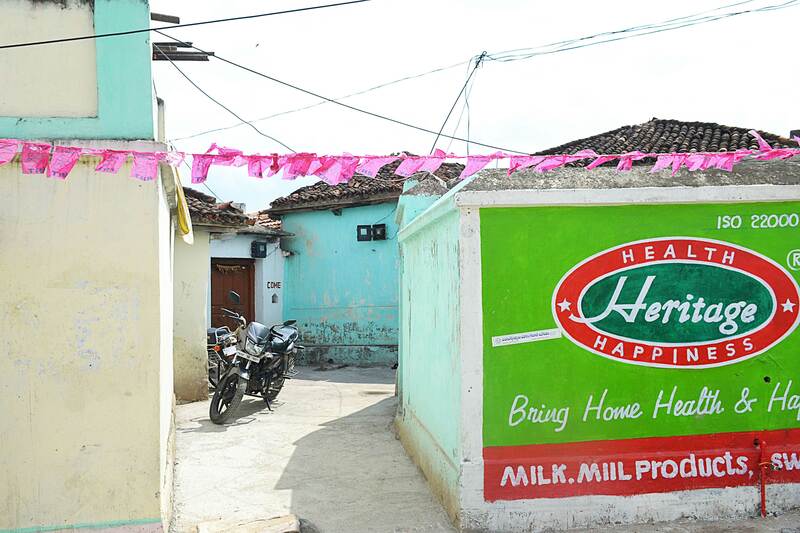 Dharmapuri welcomes us all with its holy and pleasant atmosphere. The air flows so afresh with the fragrances of trees and plants from near by mountains and hills and so cool with the breeze coming over the Godavari waters, and also warm with the love of people, specially the aged people who speak freely, lovingly and caringly. We see many old men and women who are so pure, affectionate, well educated in traditional studies, devoted to good and faithful to tradition and culture. This is the first specialty about this village. Of course it is this class of people who play a great role in protecting the purity and sanctity of the village. Houses that do not open onto the street but onto smaller open common spaces. Niches on either side of the doorway are a constant. 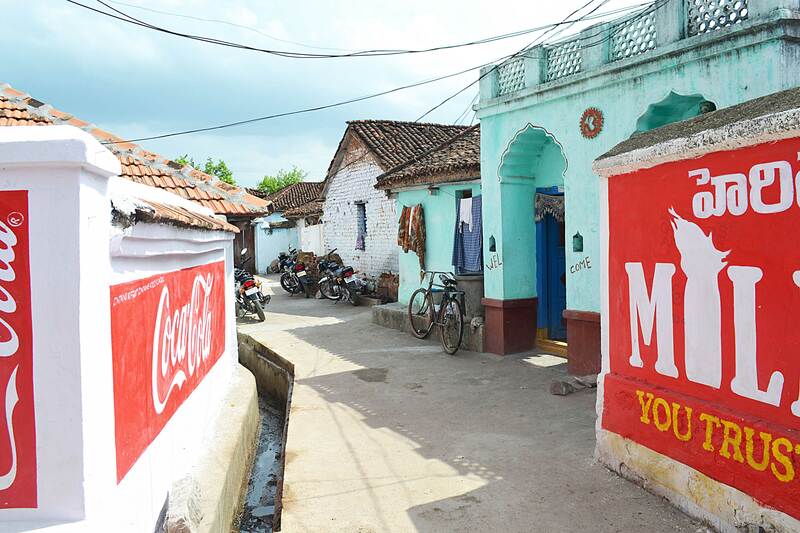 Marketing in open drained villages. 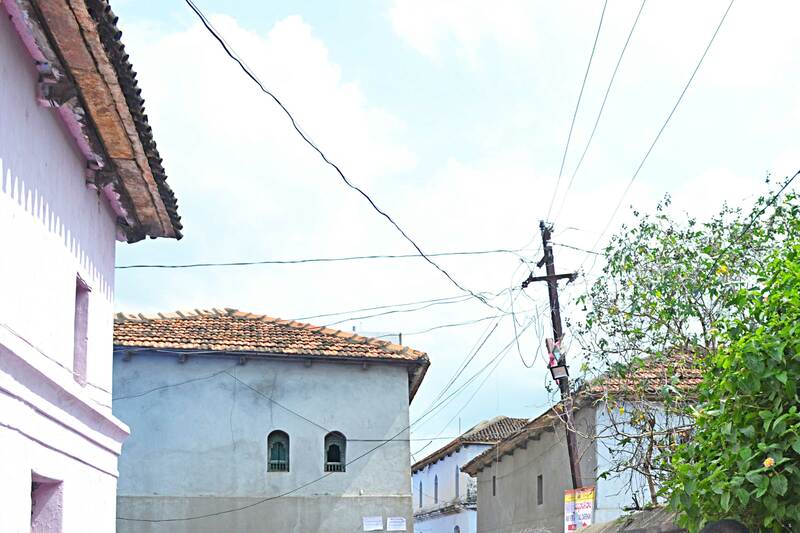 Though vernacular materials and construction techniques pervade most of the village fabric, one can also see a fast proliferation of concrete structures bearing no spatial or proportional relationship with the traditional houses. A mixed sense of comfort and fear overwhelms the mind as one wanders through the age old lanes of a fast disappearing world. 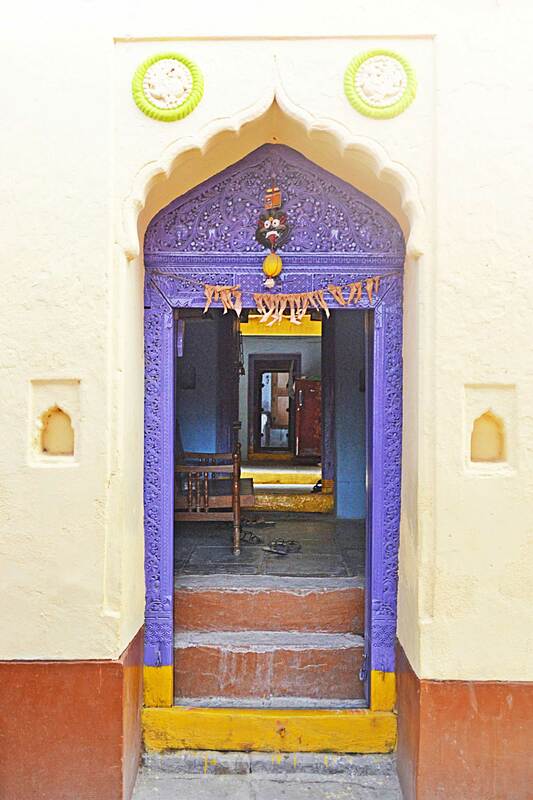 Internal court, visible from entrance, is an important part of every house. Layers of light and shadow. 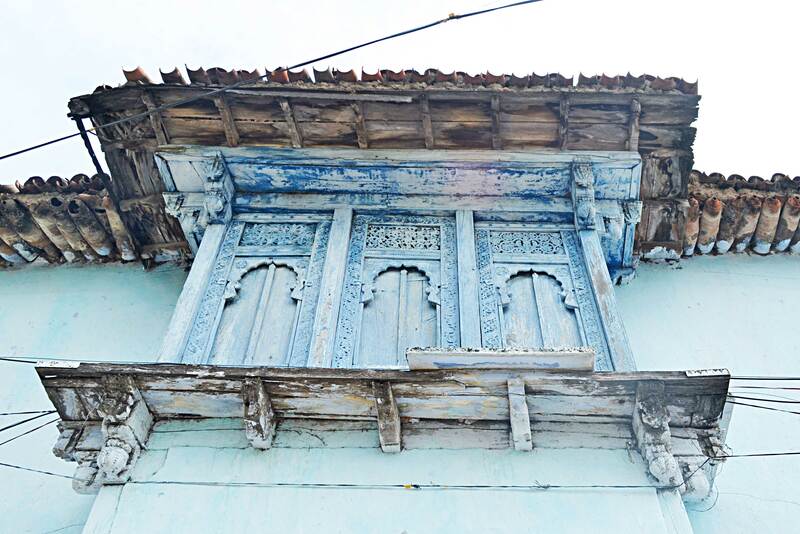 Timber used for windows, chajjas and roof structure. 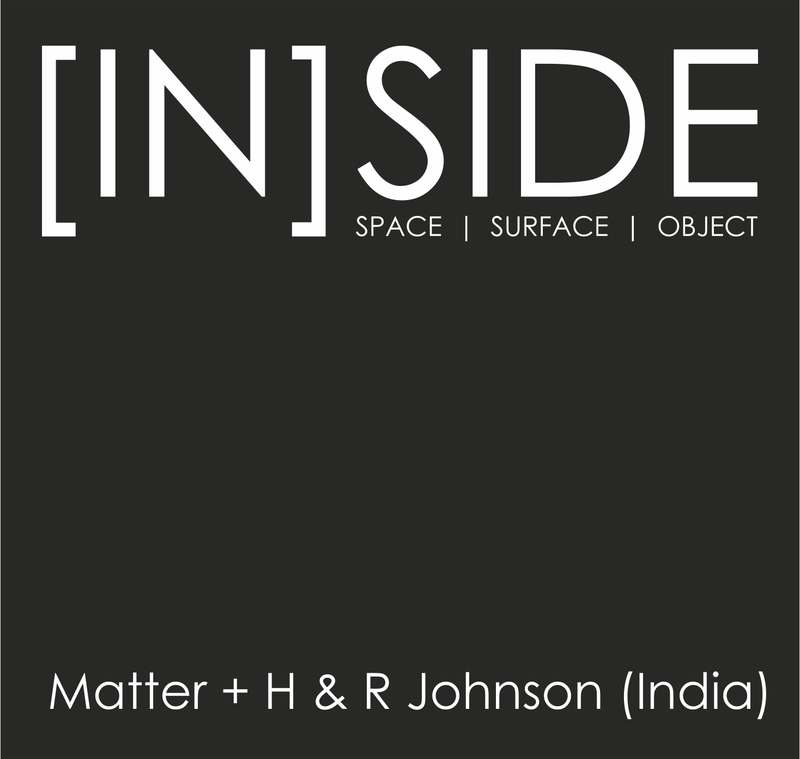 Sneha Parthasarathy is a practising architect currently based in Hyderabad. Her interest in studying the built heritage of the Indian subcontinent stems from a need to discover original and local grammar that is global in its sense of purpose. 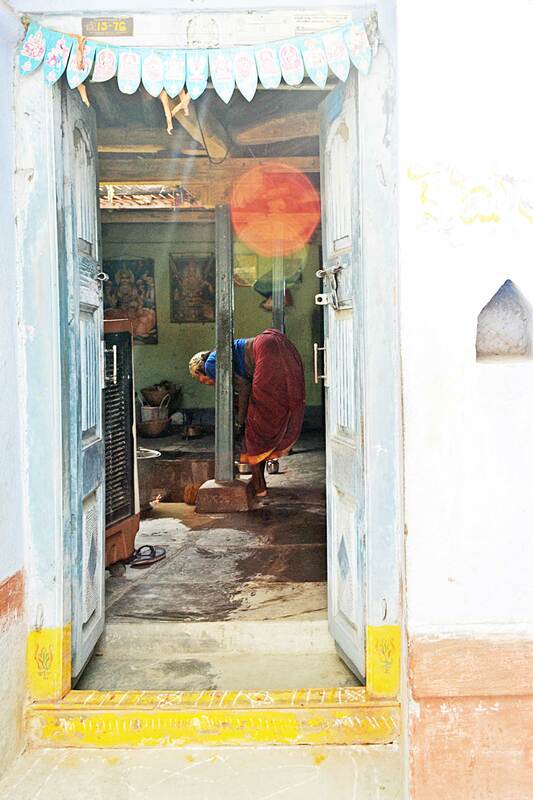 I’ve gone thru the details of photo-narrative about Dharmapuri shared by Sneha Parthasarathy. She has shared her experience very interestingly. 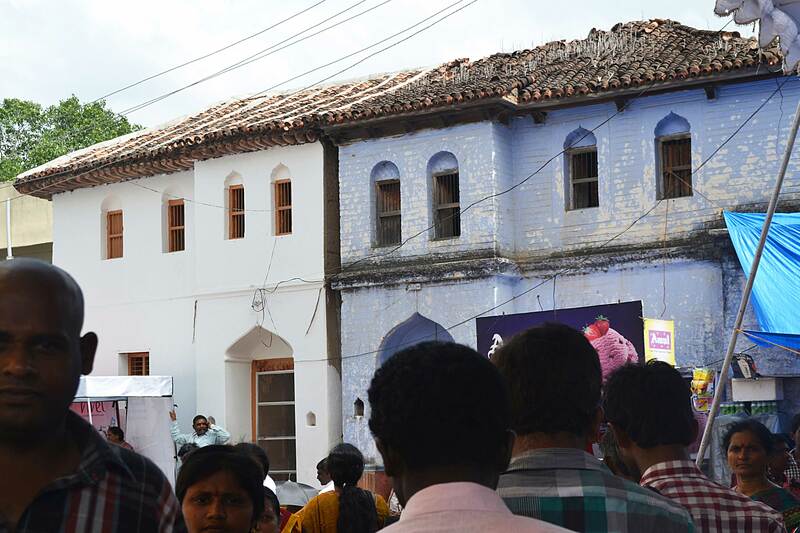 I’m very much impressed with the vivid recollection of Ms. Sneha Parthasarathy narrated with nice eye-catchy photos exhibiting the Indian village culture, lifestyle against the backdrop of the Godavari River Festival – Pushkaralu. It is just super! Look forward to many such interesting post in future.